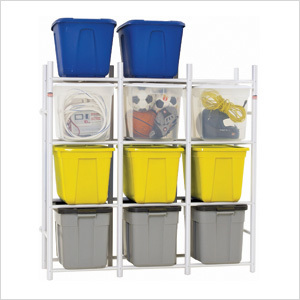 The Bin Warehouse 12 Tote Compact Model Storage System is the perfect way to store and organize storage totes that you may already have, or want to purchase in the future. 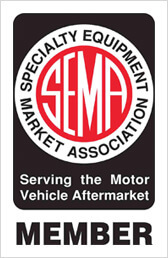 It was designed to accommodate the 18 to 22 Gallon Totes, the most popular sized storage totes sold today! 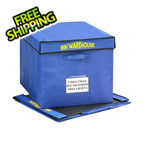 Also available are our Bin Warehouse 22 Gallon” Fold-A-Totes” which are designed to fit this system perfectly.